The dandelion plant is often considered to be just a pesky weed. However, this couldn’t be further from the truth. In folk medicine, as well as some cuisines, the dandelion plant is appreciated for its health benefits and slightly bitter taste. All parts of the plant can be used for making salads, teas, and tinctures, but most people today like to take dandelion root extract for convenience reason. In case you were considering taking dandelion root extract, here are 25 health benefits you’ll be getting. Urinary tract infections (UTIs) often co-occur with water retention. Since dandelion roots act as a natural diuretic, you can both prevent and treat UTIs. A study published in the Journal of Alternative and Complementary Medicine even confirmed the diuretic effects of dandelion. A preliminary study published in Food and Chemical Toxicology found that the extract of dandelion root protected the liver against oxidative stress caused by alcohol. The study was conducted because dandelion has traditionally been used as a liver detox herb among other things. If you are prone to water retention, then sipping on some dandelion root tea can help. Dandelion is traditionally used as a diuretic in folk medicine, and the root part of the plant seems to be especially efficient in helping rid excess water weight. Including all parts of the plant into your daily diet will provide you with plenty of vitamin B6, vitamin K, vitamin A, calcium, and iron. Dandelion is also a rich source of vitamin D, dietary fiber, and riboflavin. A study published in a 2011 issue of Evidence-Based Complementary and Alternative Medicine found that certain antioxidants found in dandelion root extract prevented drug-resistant melanoma cells from proliferating. If you are a coffee addict, then you can make coffee from a special preparation of the dandelion root. 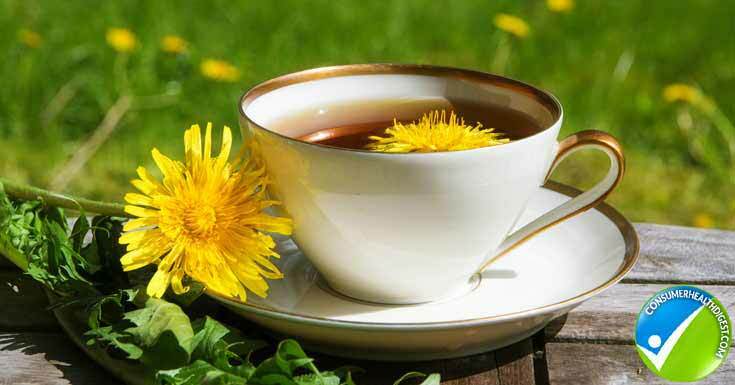 This popular coffee substitute is made by roasting young dandelion roots. You can either make your own or purchase at a health food store. One Korean study found that dandelion could possibly inhibit a process called pancreatic lipase. This, in turn, can lead to greater weight loss. Pancreatic lipase is when the pancreas releases an enzyme during digestion that helps break down fat. 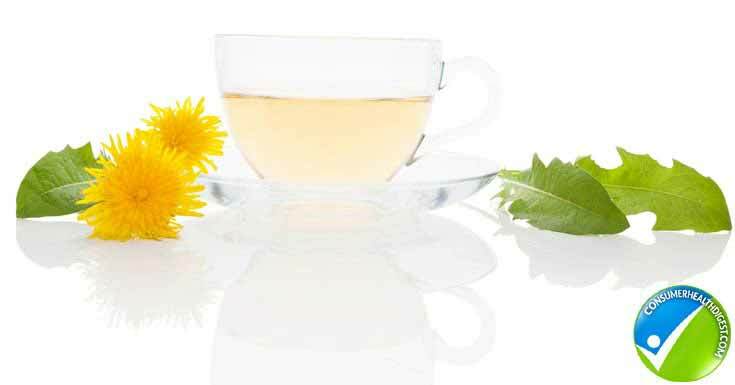 Dandelion root tea was also traditionally used to help with digestive disorders. It can help with a poor appetite, chronic constipation, and minor stomach upset. However, there are no studies yet to prove if this is true. Leukemia is a dangerous type of blood cancer that is often difficult to treat. A promising study published in the journal Blood mentions three cases where elderly patients completely recovered from leukemia just by drinking dandelion root tea. The antioxidants found in dandelion root can help with diseases that are strongly linked to inflammation such as diabetes. However, there are not enough relevant studies to confirm this and the treatment is limited to folk medicine. The antioxidants in dandelion root can prevent age-related bone damage. In addition to this, dandelion root is a rich source of calcium and vitamin D which are both important for healthy bones. Dandelion roots are a rich source of a special dietary fiber called insulin which can help make you feel fuller for longer. However, you’d get this benefit only if you drank dandelion root coffee substitute or when taking dandelion root as an extract. Dandelion root can also help with menstrual disorders according to some claims. The benefit may actually come from the diuretic effect of dandelion root as PMS symptoms are often associated with water retention. Anemia is blood disorder commonly caused by low levels of iron in our diet. Dandelion root is a rich source of iron and vitamin C which is important for iron absorption. Taking dandelion root extract may even lower bad cholesterol according to some animal studies. This effect is believed to be a result of dandelion root preventing the breakdown of fat as well as due to the antioxidants found in the herb. Dandelion root is considered to be a natural tonic, alleviating blood acidity. The optimal sodium content of dandelion root can also improve blood health by improving mineral absorption. Being a rich source of potent antioxidant, dandelion root can also provide protection against free radical damage. Free radicals can cause oxidative stress in the body which is associated with many diseases. Those with high blood pressure can benefit greatly from taking dandelion root extract or dandelion root in any other form. The diuretic effect of dandelion root has a direct effect on blood pressure. Other than that, dandelion root is rich in potassium which is important for cardiovascular health. Dandelion root boosts bile production and also reduces whole-body inflammation which can improve overall gallbladder functioning and reduce your risk of gallstones. The antioxidants and fatty acids in dandelion root extract can also be said to reduce inflammation in the body, and this, in turn, can provide significant pain relief after consistent use. Some also believe that dandelion root can boost immune system functioning. This is also likely to be due to the anti-inflammatory and antioxidant action of dandelion root. Depression is a complex disease that may be partially a result of nutritional deficiencies and inflammation. Dandelion root is a rich source of mood-enhancing B vitamins, and its anti-inflammatory effect can also provide depression relief. A study published in Journal of University of South China found that dandelion helps kill bacteria that was resistant to antibiotic treatment. Because dandelion root is so high in antioxidants, consuming the extract of this healing herb will also show on the skin. Dandelion root extract can be especially helpful for acne, rosacea, and eczema. Because dandelion root extract is said to improve cardiovascular health as well as boost the mood, the effects may show on sexual functioning as well. Dandelion root can be said to treat erectile dysfunction and low libido when taken on a regular basis. 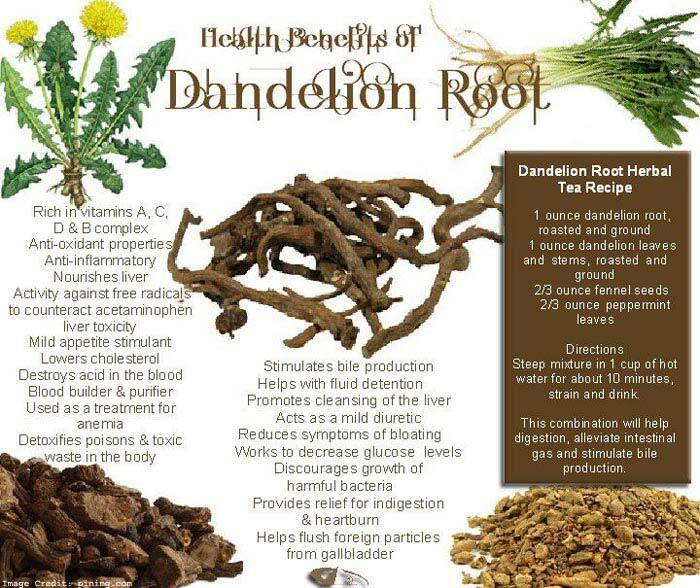 Dandelion root extract is a convenient way to get the many health benefits associated with dandelion root consumption. Studies have confirmed that this herb works wonders mostly on liver, gallbladder, and kidney health. 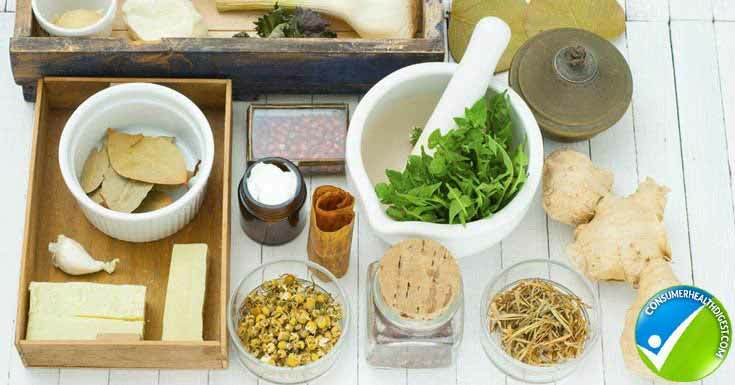 Additionally, alternative medicine has also recognized that this potent herb provides a range of other benefits that research is yet to confirm.